5one is an up-and-coming pop/rock a cappella group consisting of five male Millikin University music students. Established in April, 2006, 5one accepted an offer to entertain tourists at Navy Pier in Chicago, IL that following summer. Since then, 5one has astounded audiences and encouraged musicians in the Chicagoland metropolitan area. Winners of the 2008 Chicago Rgional of the Harmony Sweepstakes A Cappella Festival. 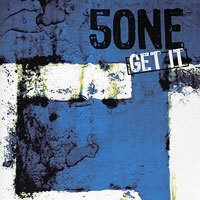 Currently based in Decatur, IL, 5one has released their first album, "Get It" through their own student-run record label at Millikin. 2008 Chicago Regionals winner, all male Contemporary quintet 5one (which refers to the strongest cadence found in Western music), hails from Decatur, Illinois' Millikin University. We just had the pleasure of seeing 5one's dynamic set at the Harmony Sweeps National Finals, and the crowd gave a strong ovation to songs like the Animals' "House of the Rising Sun," which is here on "Get It." Other favorites among these 10 songs are a sweet cover of the Beach Boys' "Surfer Girl," Lennon/McCartney's "Come Together" and "Drive My Car," Roy Orbison's "Pretty Woman," "Stand By Me," "People Change," "Fallin' Over You" and "Up The Ladder." 5one puts their personal stamp on each of these covers with cutting-edge arrangements, tight vocal percussion and spirited harmonies. This fast-rising group gained many new fans at the Finals, and "Get It" is a strong, head-turning debut CD for them. Good stuff, guys!